This week my trusty noise-cancelling headphones took a back seat to a newer, snazzier older brother. For items that I use regularly, I try to buy the best. Shoes, bed, office chair, computer, monitor, phone, headphones - anything I use everyday and I want to last a long time. The last time I bought headphones was 2011. Considering I wore them nearly 5x/week for 4 hours/day for 3 years... that's an incredible value at 120 bucks. Everything is perfect soundwise; except the stitching came undone in the ear padding, so the sound is a little muffled.
.@usaudiotechnica You got it! I just bought a pair of M50s as backup. Really digging 'em. 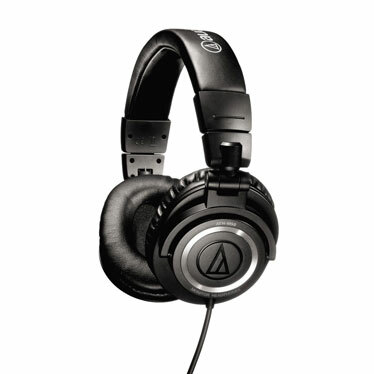 Preemptively, I bought some new ones after researching here (co-worker turned me on to The Wirecutter) and decided the Audio-Technica ATH-M50s were the way to go. I'm familiar with the brand. This is my 3rd pair of ATs. Wirecutter said they were "cult favorites" and I'm a follower. Reviews said "you could wear them for hours and forget they are on your head" Comfort, durability and sound quality were most important to me. I say "preemptively" because Audio-Technica responded to my tweet and over email offered to replace my ear pads...FOR FREE. So now I have two pair of headphones - one for home and one for office. 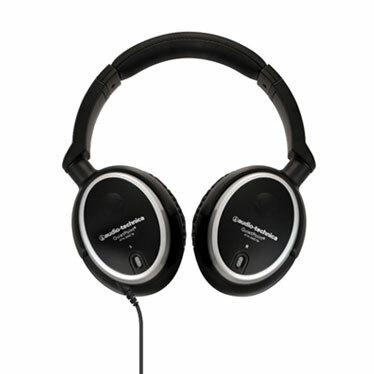 Despite coming from the same manufacturer, these headphones are different in many ways. Comfort Great ear padding. Smaller openings. Hurts after 3 hours of wear. Very adjustable. Feels like it lays over your ear, but still not much noise leakage. You can wear these all day and not feel a thing. Durability Sadly, this is my 2nd pair of this model. The first model's head band broke. I was pretty hard on them. Padding stitching came out of 2nd pair. Remains to be seen. Folds up nice and flat, so it may be a better pair of travel headphones, despite not having noise cancellation and being larger. Sound Quality Great bass response. Highs sounded super crisp. Noise cancelling worked, fo real; you can't hear anything around you. Great isolation. Bass is suuuper solid. Highs are a little muddy on some songs with a lone high-hat. Monitor headphones are made to sound 'flat' or even. Major change - I've gotten used to it. In summary, I would go with the M50s.